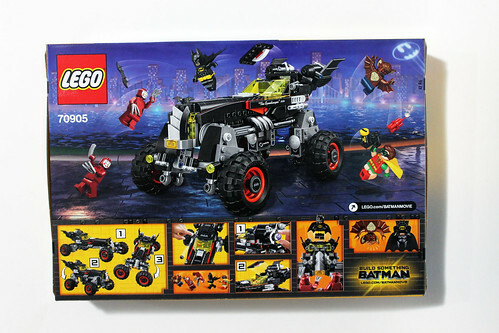 Next up on my reviews of The LEGO Batman Movie sets is The Batmobile (70905), aka The Speedwagon. 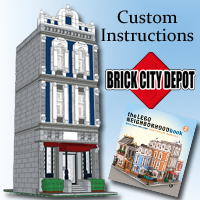 The set has 581 pieces and retails for $59.99. 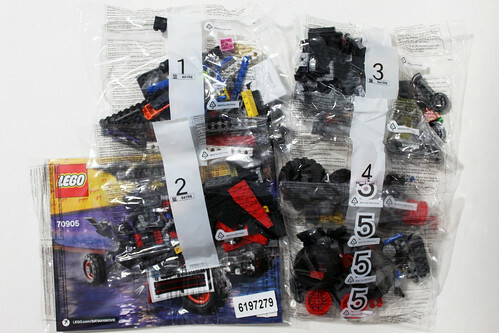 The contents of the box include five numbered bags and the instructions along with a sticker sheet. 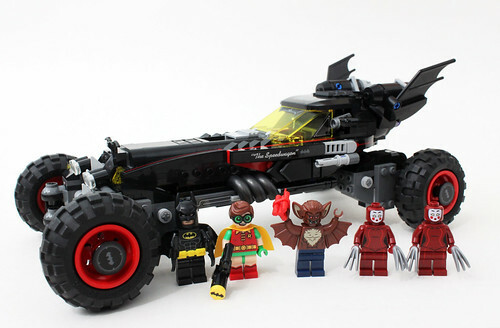 There are five minifigures in the set, Batman, Robin, Man-Bat, and the Kabuki Twins. 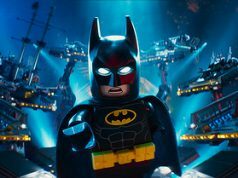 Batman again is the same minifigure that we’ve many times before as we’ve gone through the reviews of The LEGO Batman Movie sets. His double-sided head shows him with an angry look and a disusted one on the other side. 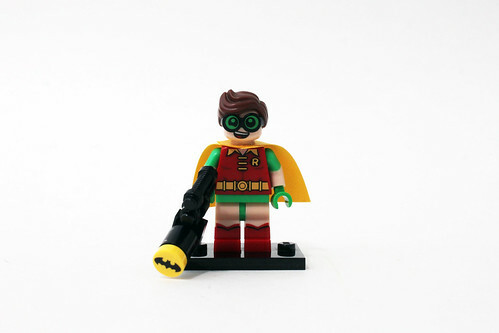 Robin is the exact same minifigure as in the Catwoman Cycle Chase (70902) with his signature red, yellow, and green outfit. 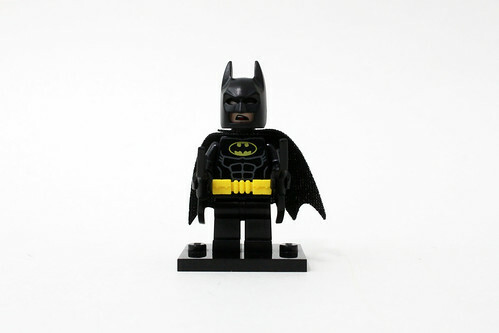 The yellow cape that he wears has a slight sheen on one side. His expressions include a very happy smile on one side and a confused look on the other. 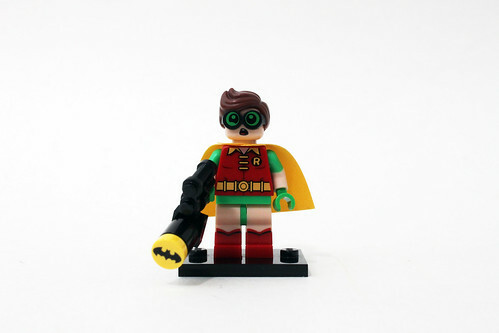 Again, the highlight of Robin is his hair/glasses piece which shows his large eyes. 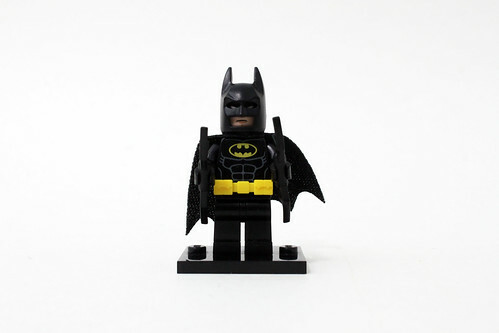 His accessory is a Bat Merch gun that uses a printed 1×1 round brick as well as a 1×1 round tile for the Batman logo which you also get an extra one of. 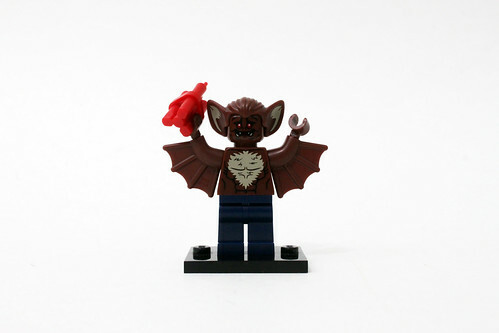 Man-Bat is the exact same minifigure that was in the 2014 LEGO DC Universe Super Heroes Batman: Man-Bat Attack (76011). The torso is brown with fur patches on both the front and the back. Both the arms have wing attached to it and they have fairly limited movement. 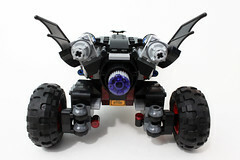 Just like before, Man-Bat has a double-sided head with an evil grin on one side and a scared expression on the other. The hair piece mold also has his ears attached to it. His accessory is a bundle of dynamite. Finally, the Kabuki Twins are a pair of female bodyguards that work under the Penguin so I’m not exactly sure why they are in this set. They have on dark red outfits that are pretty plain. The heads have printing of the white Kabuki masks they wear. Their accessories are a pair of claws. 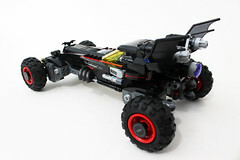 The chassis of the Batmobile is made up of mostly Technic bricks which is basically the first bag. There’s nothing much going on here. 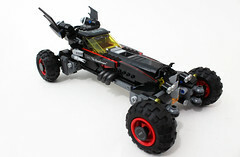 The second bag just adds more to the Batmobile including adding details to it. 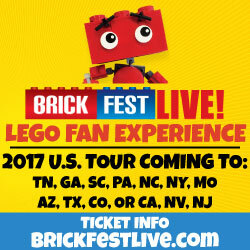 There are a few stickers to apply here such as the red stripes along the front, the computer consoles, and on the sides with The Speedwagon nickname. As of this point, I do like all the curves that it has so far. 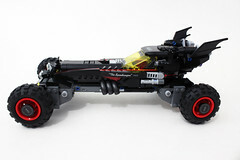 For the third bag, you add on the flex joints that will be used in the Batmobile’s wheel feature later on. More details are also given here with the side exhausts using some pearl dark gray maracroni tubes. 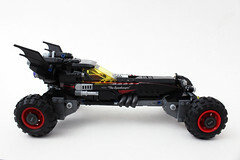 The front of the vehicle also gets some detailing with the BTTITUDE license plate and Batarang hood ornament. 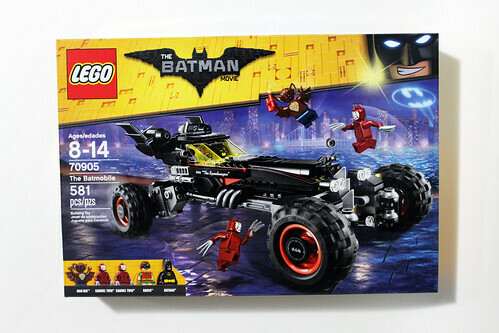 After this bag, you basically have the shape of the Batmobile built. Next to the cockpit, there are some stud shooters to give some additional play features. 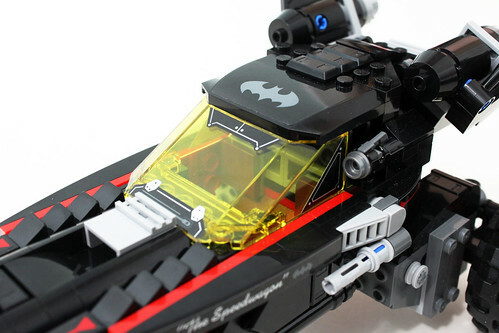 The back has some bat wings attached to the thrusters. The main engine has a trans-purple 2×2 round piece for the jet engine. YOu can turn it to blow open the cockpit roof. 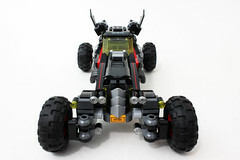 For the last two bags, you build the front and back wheels which actually have a cool feature. 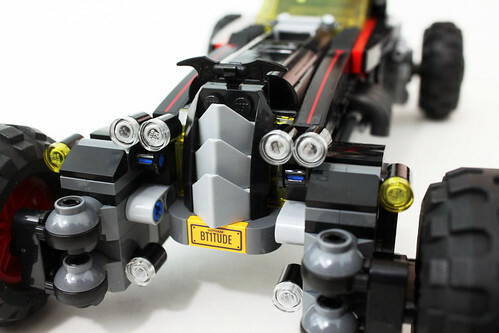 The suspension sections are attached via some Technic pins and the wheels themselves are extended from that. 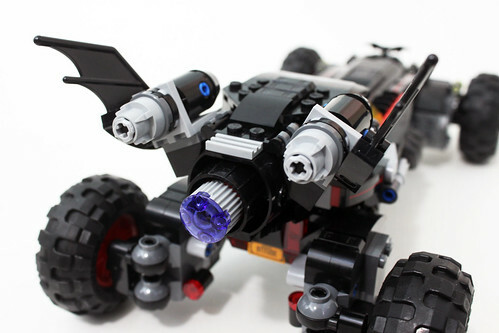 In addition, the wheels themselves are on some joint links and that enables them to turn sideways. But that’s not all they do. 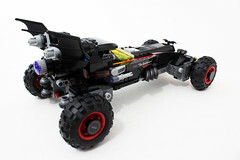 Since they are on the flex joints, the suspensions can turn vertically and transform the Batmobile into a monster truck. 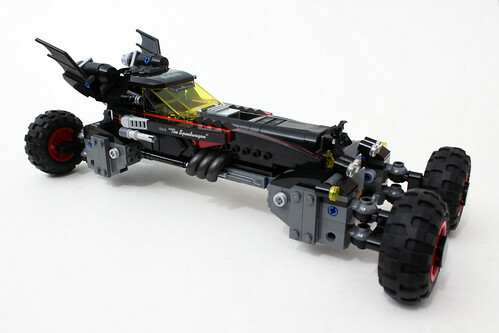 The overall look of The LEGO Batman Movie The Batmobile (70905) is great. 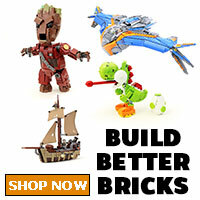 The set is a considerably decent size and has a lot of play features. 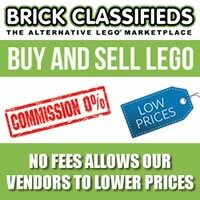 It’s actually larger than I expected after building it. 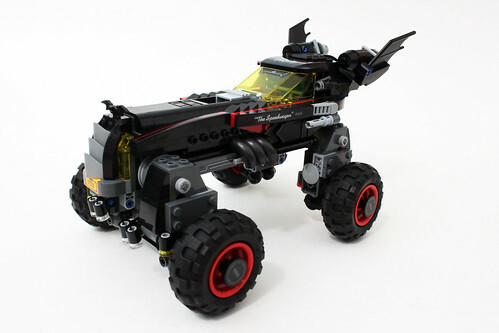 The only knock I have for this set is not with the Batmobile itself but with the minifigure selection. 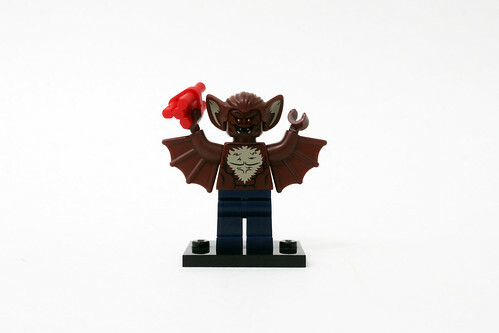 Three of the five minifigures we’ve had before and one of those is a three year old minifigure with Man-Bat. 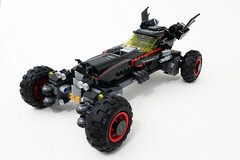 Other than that, I feel the Batmobile will be a nice addition to your collection.